About Al amanecer, un barco permanece anclado frente a cabo Menor, en la Bahía de Santander. 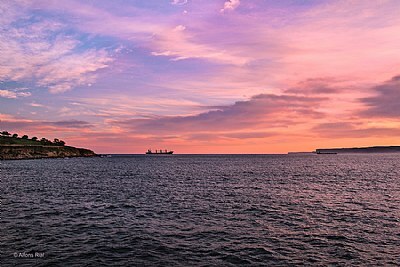 At dawn, a ship remains anchored opposite cabo Menor, in the Bay of Santander. Very good capture and wise composition. Colors and clarity are great.